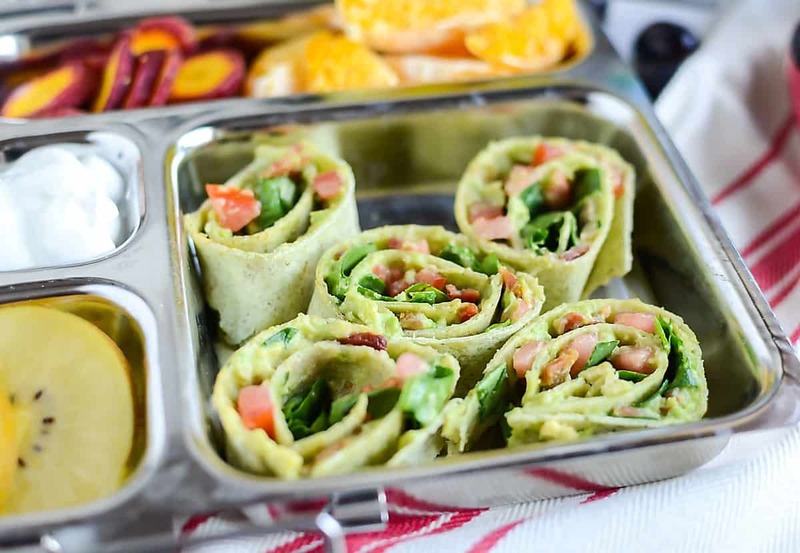 Power your lunch box with these Avocado BLT Wraps. 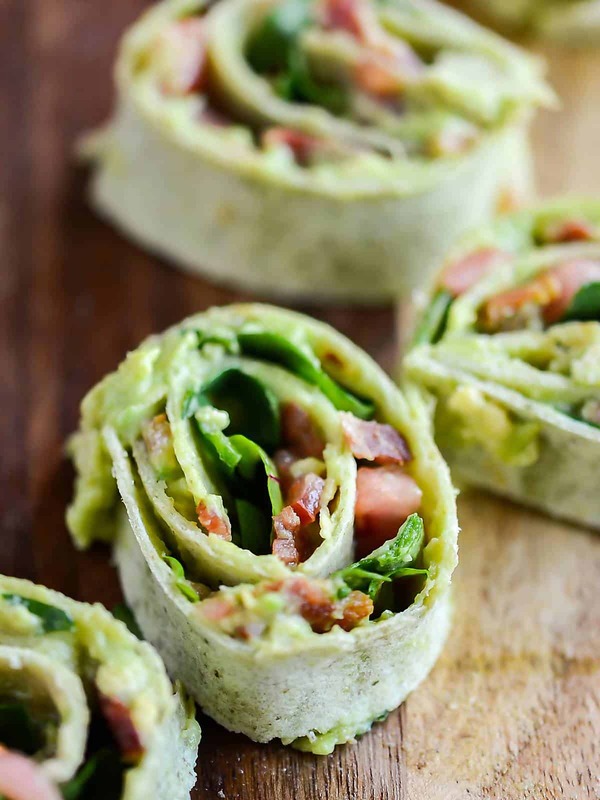 Crisp bacon, juicy tomatoes, healthy greens and avocado mayo all wrapped up in a spinach tortilla. 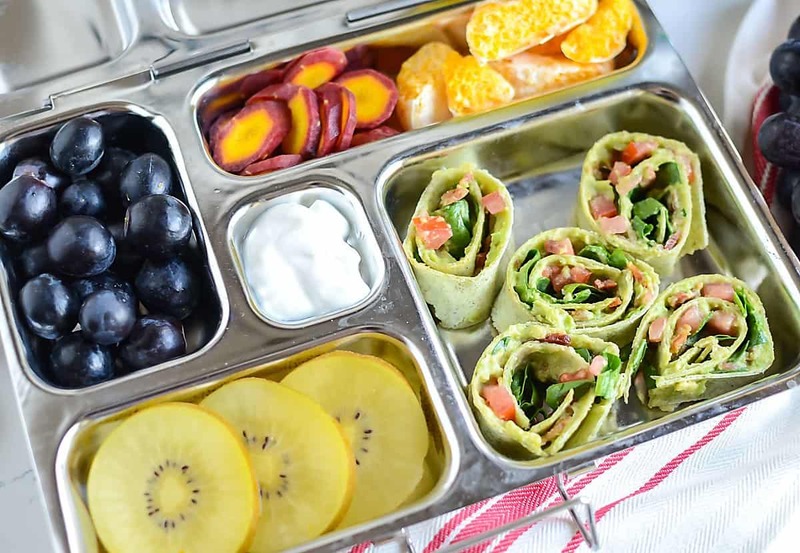 Read on for more healthy lunchbox ideas for school. 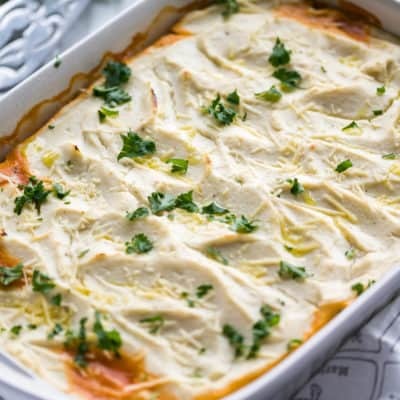 I’m proud to be partnering with Produce For Kids to bring you this recipe. All opinions are my own. I’m still savoring summer, but, it IS that time of year… back to school. Time for new routines, new clothes, new supplies, and packing lunches. So, I’m curious, how do you feel about packing lunches? Actually, when they are in kindergarten, I teach them how to pack a healthy lunch. They love having some control in this area and think it’s fun to pack their lunches. All I do is provide the healthy options and possibly some ideas and they’re on their way. It’s a win-win. ‘Cause, like many of you, it’s not my favorite thing to do. This season, I’m teaming up with Produce For Kids to raise money for Feeding America® programs that benefit families and children. We are encouraging families nationwide to kick off the school year right by pledging to eat a healthier lunch. 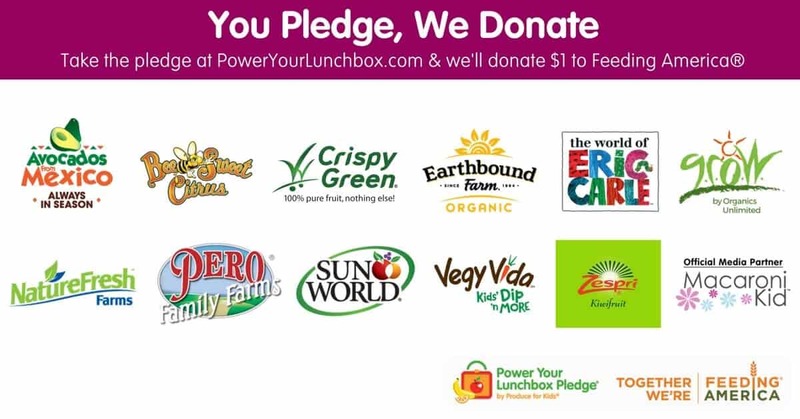 Now through September 22 at PowerYourLunchbox.com, you can join the pledge, and all the amazing sponsors are collectively donating $1 toFeeding America® children’s programs. The program has raised nearly $60,000. 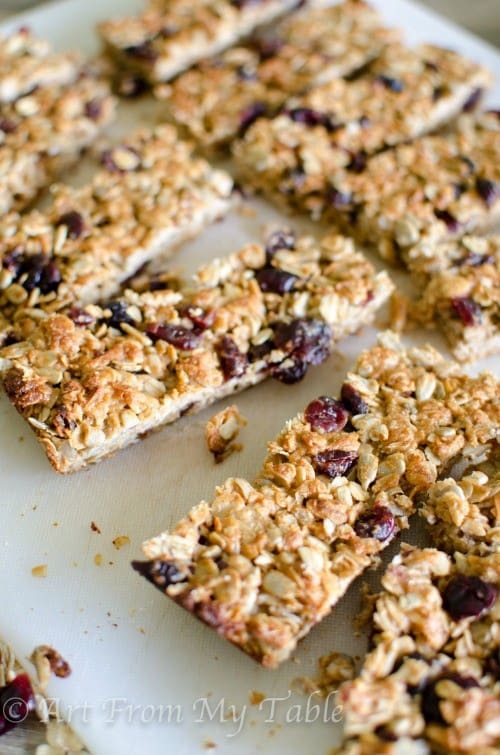 Need some healthy lunchbox ideas for school? 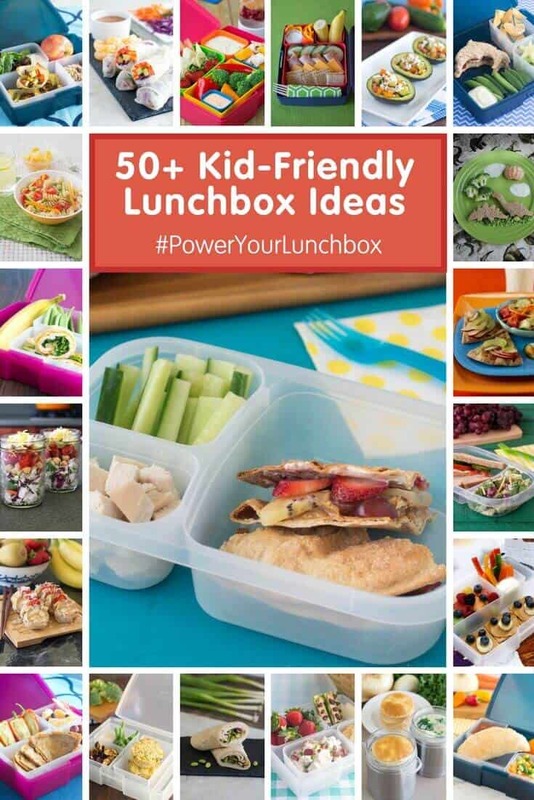 Power Your Lunchbox has lunchbox ideas, after school snack suggestions, and easy weeknight dinners. And, you can add this Avocado BLT wrap to your repertoire. I like to use a multi grain tortilla or a spinach tortilla for some extra benefits. 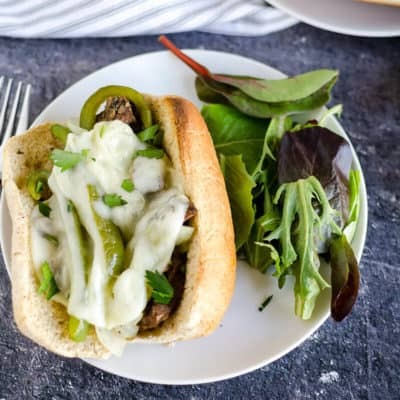 Pair it with grapes, kiwi, veggies and dip. You gotta love the dip, right? There was a season that my kids went through that as long as it had dip on it, it was a winner! And check out freeze dried fruits from Crispy Green. I love them because they are all natural, no preservatives, no added sugar, and of course delicious. Get the kids involved ~ It’s proven that when kids are involved in preparing their meals they are much more apt to eat them. I recommend teaching them how to pack their own. Incorporate all food groups ~ proteins, grains, dairy, fruits and vegetables. 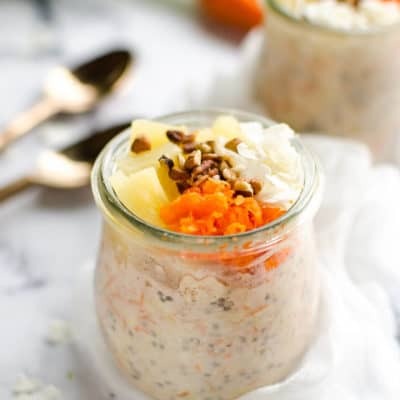 Set up lunch stations~ whether you pull it all out and set it on the counter when it’s time to make lunch, or you keep bins in the fridge/pantry, having some specific foods that are set up for lunch will make it easy and convenient to pack healthy lunches. 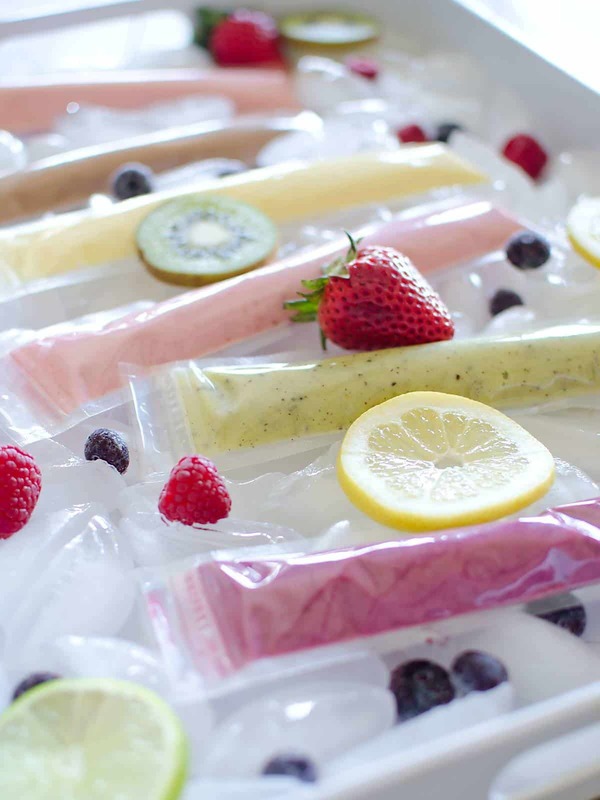 Make lunches the night before~ you’ll make better choices when you’re not in a rush. 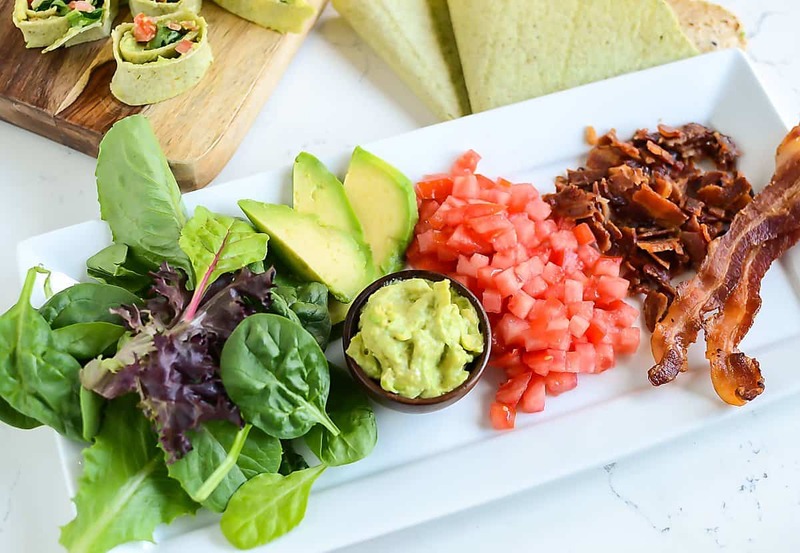 Crisp bacon, juicy tomatoes, healthy greens and avocado mayo all wrapped up in a spinach tortilla. Combine the mashed avocado and mayonnaise and spread on the tortilla. Add bacon, tomato and lettuce. Tightly roll and slice into rounds. 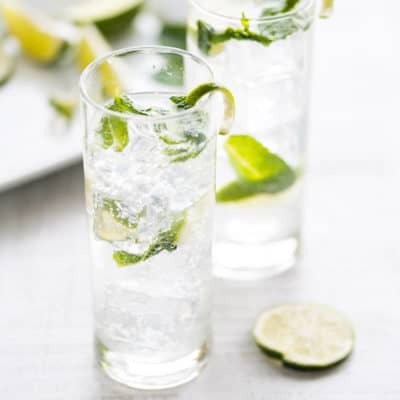 Serve with fruit such as Zespri Kiwi, Sun World grapes, Crispy Green freeze dried fruit. And fresh veggies with Vegy Vida Dips. 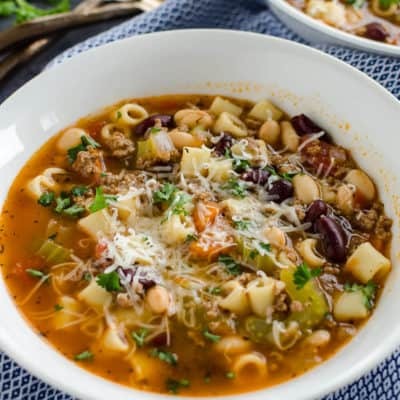 Looking for more great back to school lunch ideas? Follow Produce for Kids on Twitter and Instagram for more recipe ideas and healthy eats info. I just love that tin lunch box and these pinwheels look delicious. Way to pack a healthy lunch! !